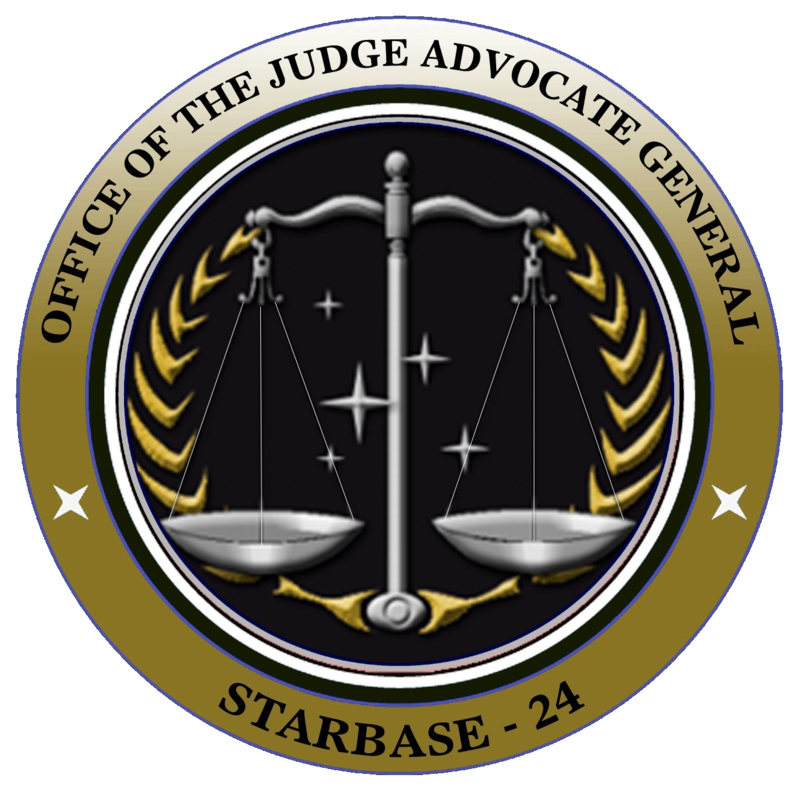 The Office of the Judge Advocate General (JAG) provides comprehensive legal services to Starfleet in many fields, including criminal law, international law, administrative law, legal assistance, maritime law, Space Time and environmental law. JAG carries out investigations of wrong-doing by Starfleet officers and convenes courts martial when necessary. Although the JAG itself is headquartered at Starfleet Command in Falls Church, Virginia, Earth, they maintain offices on all major starbases. Any incident requiring the intervention of JAG is referred to the nearest local office, though extremely important cases or those involving high-ranking officers are often pulled back to Starfleet Command for JAG’s personal attention. 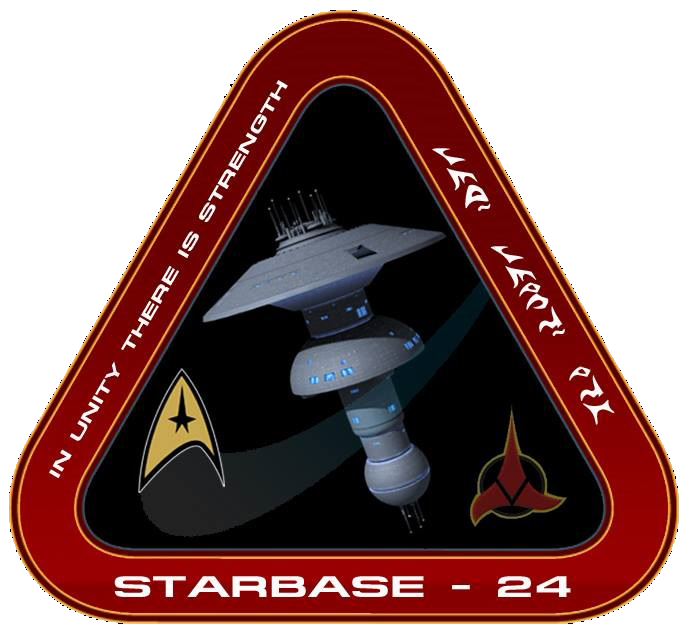 For the purposes of the Rapid Response Fleet, the local JAG office can be found at Starbase 24. 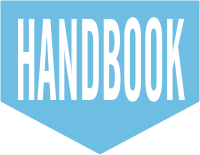 In addition to upholding the Uniform Code Of Starfleet Justice, JAG investigates and prosecutes cases involving violations of Starfleet’s General Orders, the Constitution of the United Federation of Planets, and the laws of Federation member worlds. The Judge Advocate General’s office has jurisdiction over any member of Starfleet accused of wrongdoing, even if the violation occurred under local law. Normally, on a member planet, local authorities remand the accused officer to Starfleet’s custody, and the officer is tried under the Uniform Code Of Starfleet Justice. On a non-aligned planet, however, this is largely a question of custody; once in an alien jail, it is within the planet’s rights to try the accused. Starfleet, however, works hard to convince the planet’s government to surrender the accused for court-martial proceedings. This isn’t always successful, and more than one officer has faced trial on an alien world, under unfamiliar (and sometimes poorly understood) laws. Often, in the case of laws broken on a non-member world, the JAG office will invite a representative of the local government to observe, or even present evidence. 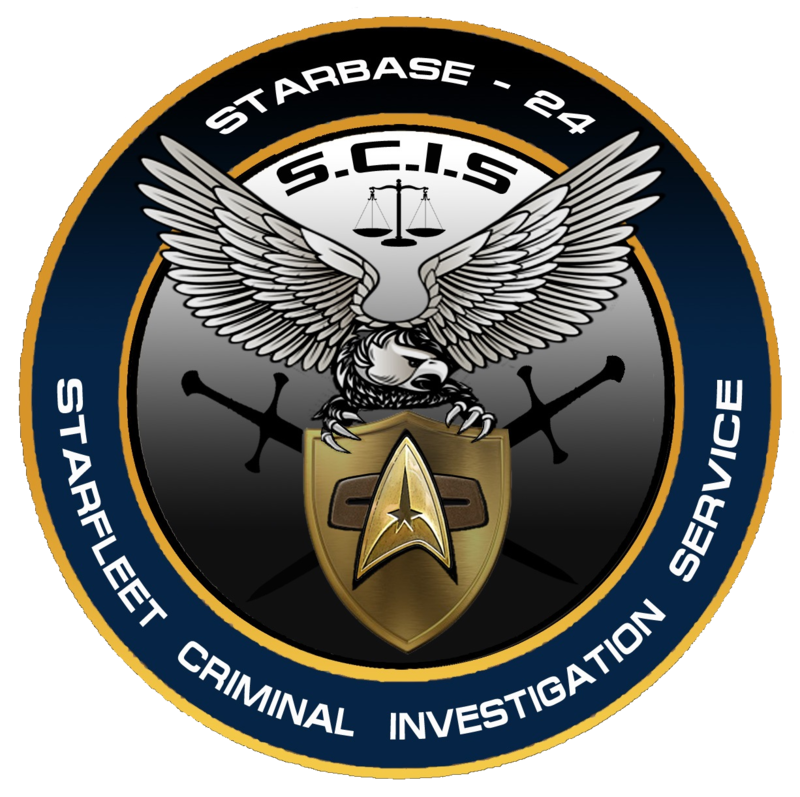 A descendant of the US based Naval Criminal Investigative Service, the SCIS is the Federation mandated law enforcement agency charged with conducting investigations of felony-level offenses affecting Starfleet and the Starfleet Marine Corps – that is, crimes punishable by confinement for more than one year. SCIS also performs investigations and operations aimed at identifying and neutralising alien foreign intelligence, interplanetary terrorist, and extra-terrestrial threats to Starfleet and the United Federation of Planets. In addition, it provides warning of threats and specialised defensive force protection support to Starfleet and allied Starbases throughout the Alpha and Beta Quadrants. SCIS is comprised of some 20,000 personnel, approximately 90% of whom are civilian, in over 40 sectors around the galaxy. Criminal investigation is at the foundation of virtually all the organization does, but the SCIS mission is broad. Interplanetary terrorism has been and remains a key focus area for the agency. The history of the organisation from which is it decended and the Maquis/Cardassian threat in the early made clear to SCIS that merely reacting to crime – the traditional law enforcement model – was no longer adequate enough. After the attack on the USS Cole in orbit of Cardassia in 2368, SCIS adopted a more proactive model of law enforcement and a new strategy for engaging the threat. "By Land, Sea and Stars"
In the wake of the many conflicts facing the Federation in its early days, Starfleet Command realised that they needed a dedicated division that could specialise in ship-to-ship boarding operations and mission profiles more commonly associated with traditional 'pre-warp' infantry operations. 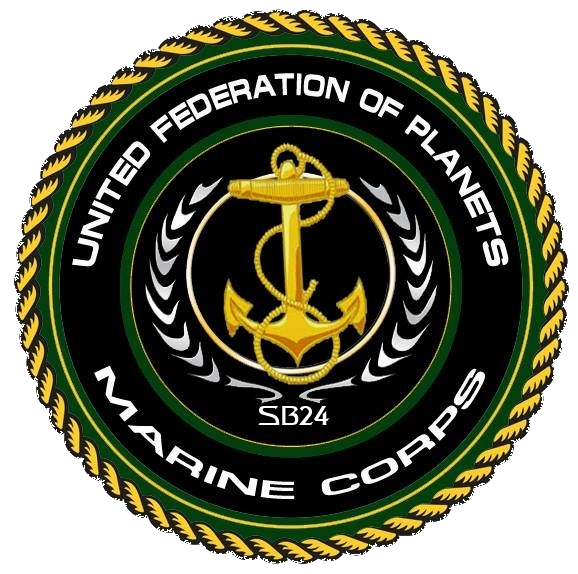 In much the same way that the Starfleet Corps of Engineers operates as a semi-autonomous part of the Fleet, Command commissioned the Starfleet Marine Corps. Inspired by historic groups such as the British Royal Marines and the US Navy Seals as well as the MAKO teams used by the early Starfleet, the SFMC drew officers from across all departments who had a proven aptitude for, or experience of, combat. Special consideration was given to personnel who had entered Starfleet from an existing planetary defense unit (for example: the Bajoran Militia) as well as former members of groups like the Maquis. To assist in providing dedicated training, Starfleet Academy re-purposed the old West Point and Sandhurst military academies on Earth, as well as several satellite facilities on Federation member worlds with either a tradition of military service or with environments that provide harsher than normal training grounds. Any cadet opting for the SFMC programme is required to undergo standard Academy training for their departmental specialty with an increased focus on combat operations, before an additional six months at a Marine Corps facility. At the end of this time they are permitted to wear the distinctive green stripe of the SFMC, either on its own or in addition to the speciality they trained in. The SFMC currently deploys in one of two ways: either in units assigned to a specific ship or base as a supplement to standard tactical units; or aboard one of the (increasing) number of ships assigned to the SFMC and crewed exclusively by Marines. Currently this flotilla consists of several Akira-class vessels outfitted as the carriers they were originally designed to be, and a larger number of Defiant-class escorts. "To protect the Federation and its Constitution at any cost & by any means"
Starfleet Special Forces were formed after the disastrous First Contact with the Klingon Empire. Its original maximum strength was set at 5000 personnel. SSF took part in many operations against the Klingon Empire, until the end of hostilities in 2293 (this included a number of Black Ops). After the destruction of Praxis, amid widespread rumours and speculation as to the possible involvement of SSF, Colonel West, then-Head of SSF, was found to be involved in the plot to assassinate the Federation President during the peace negotiations at Khitomer. As a result, over the next fifty years, SSF was allowed to waste away to just over a hundred personnel. With the advent of the war with Cardassia in the mid 24th Century, the need for the Special Forces grew again, however numbers were cut back again following the Truce of 2366. They worked closely with Section 31 during the intelligence gathering stages of the war against the Borg. It was only during the Dominion War that the requirement for Starfleet Special Forces was proved necessary, as they were frequently assigned to protect the President of the United Federation of Planets whilst threat of assassination by Founder infiltrator was present. 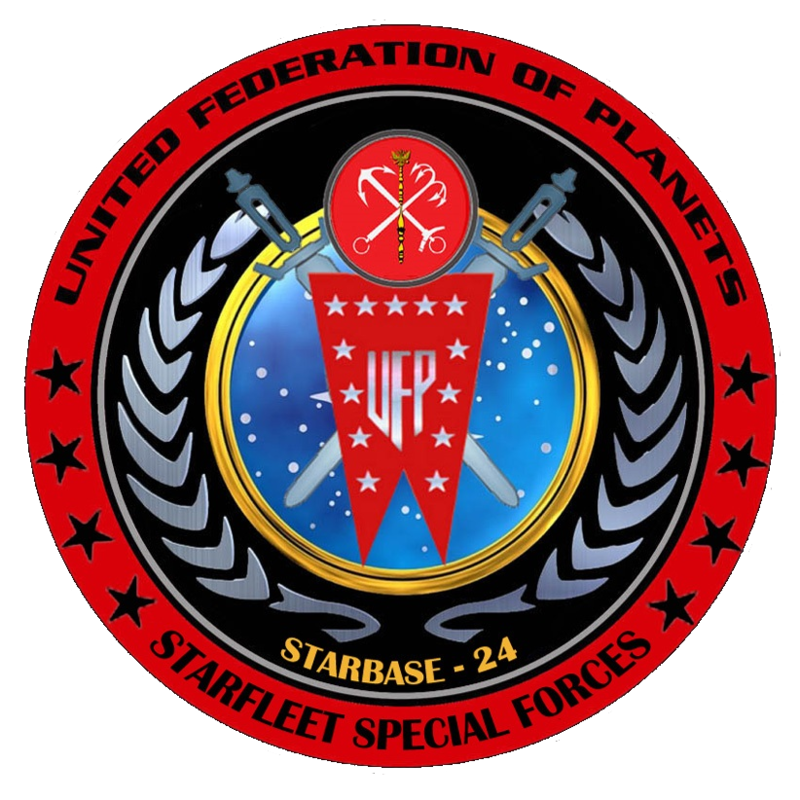 With the formation of the Rapid Response Fleet after the end of the Dominion War, a division of SSF was permanently assigned to Starbase 24 under the command of Brigadier Colonel Ivan Dragunov.